Founded in 2003, Acronis protects the data of over 5 million consumers and 500,000 businesses in over 145 countries. With its more than 50 patents, Acronis’ products have been named best product of the year byNetwork Computing, TechTarget and IT Professional, and cover a range of features, including migration, cloning and replication. Acronis True Image 2016 is out now! 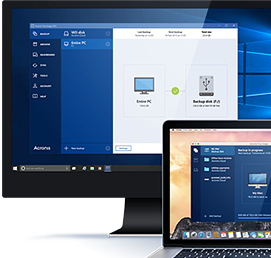 Acronis True Image 2016 (perpetual license, local backup only) — Protect your digital life with Acronis True Image 2016, the #1 backup solution to safeguard PCs and Macs. Acronis True Image protects their files, pictures, videos, operating system, applications, settings, and preferences. Users can quickly restore an entire computer to its exact previous state to the same or different hardware — or restore just the files and folders they need. Now optimized for Windows 10 and the latest OS X releases. Acronis True Image solutions are designed for home and home office users with no IT skills – unlike the Acronis Backup product line which is designed for small companies that need data protection for specific business systems and have some level of in-house IT skills. Acronis True Image solutions are offered in two editions to support your customers’ licensing needs and each edition delivers consolidated support for PC and Mac. Best of all, Acronis True Image solutions leverage the Acronis AnyData Engine — the same technology that powers Acronis’ corporate solutions — at a fraction of the price! Full Disk Image Backup: Users can restore a full system or recover specific files and folders with full disk image backup. Universal Restore: Users can restore a computer to bare metal or migrate a computer to new hardware. Security and Privacy: Protect your customers’ data with a user-defined private key using AES-256 encryption both in-transit and at-rest. 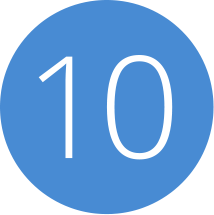 Optimized for Windows 10 and Recent Mac OS X versions: Compatible with Windows XP, 7, 8, and 10. Try & Decide: Users can safely test new software, drivers, and system configurations using Try & Decide. Proven Backup Technology: Millions of businesses and consumers worldwide trust the Acronis AnyData Engine — the most advanced backup technology.